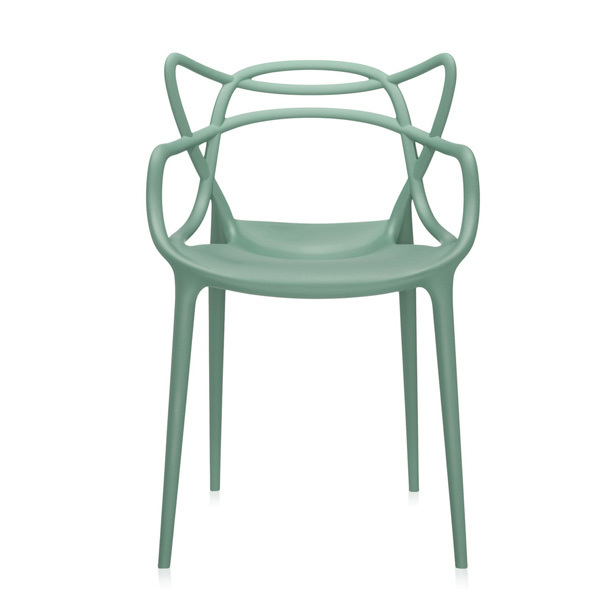 The Masters chair by Philippe Starck and Eugeni Quitllet is a tribute to three iconic chairs: the Series 7 by Arne Jacobsen, the Tulip armchair by Eero Saarinen and the DSR chair (or Eiffel chair) by Charles and Ray Eames. The silhouette of each classic can be found from the back rest of the Masters chair. 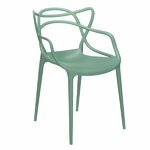 The slim legs give the chair a slender figure. 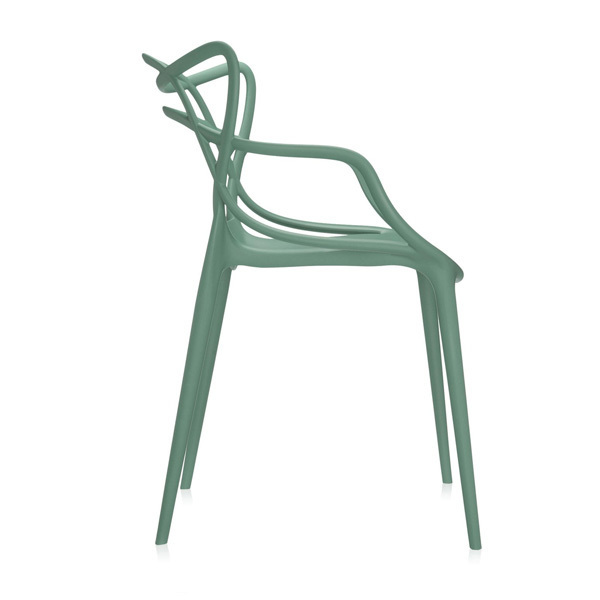 The Masters chair is light, stackable and suitable for outdoor use. 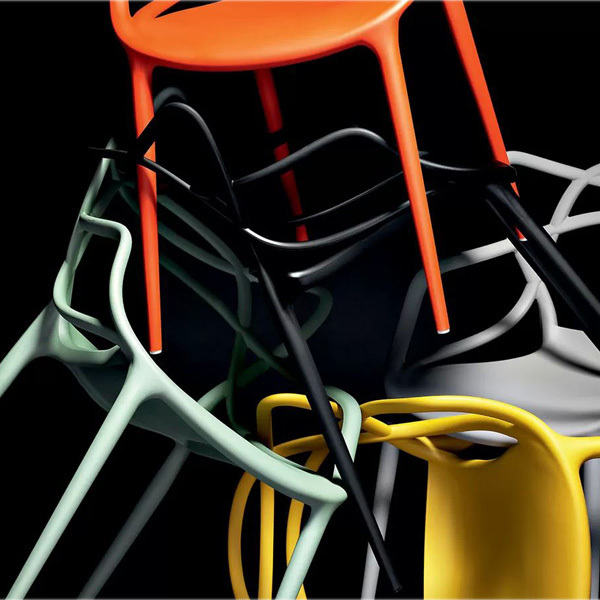 The french designer Philippe Starck (b. 1949) studied in École Nissim de Camondo in Paris and stayed in Paris after his studies. He became famous for his style and even the president Francois Mitterand asked him to design a suite to his palace. Starck became one of the most famous designers of that time and designed everything from apartment blocks, homes, domestic products and hotels. 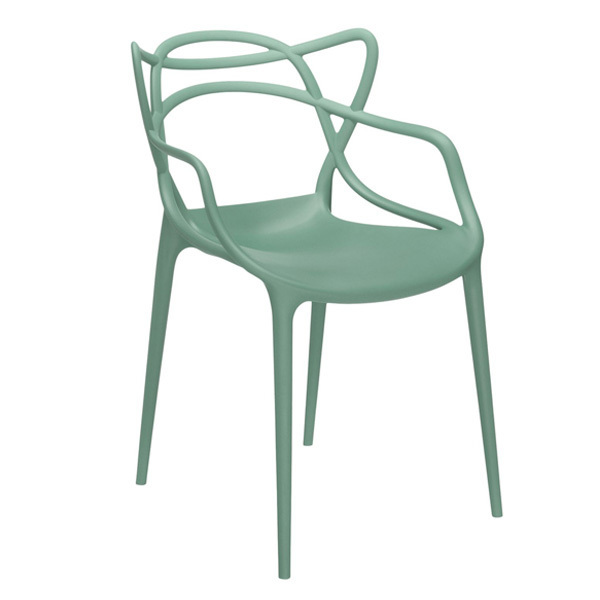 In the 80s and 90s Starck started working for Kartell. The cooperation was built on the company’s will to create eco-friendly, contemporary plastic furniture and the designer's particular style. One of the most iconic designs of our time, the transparent Louis Ghost chair, was one of the results of the cooperation with Kartell.